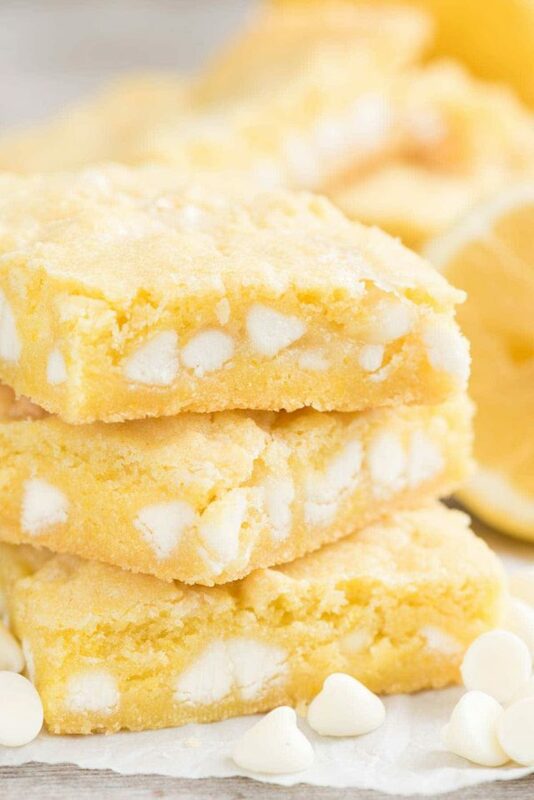 These White Chocolate Lemon Bars are the best lemon bar recipe ever. They have a shortbread crust and a gooey lemon filling filled with white chocolate chips. The best part about this recipe? It can be made entirely in the blender! As you probably know, I am in loooooove with lemon. Love it like I want to marry it. For many years I *thought* I hated lemon desserts, but boy am I glad I realized I was wrong. Sometimes I feel like a rich, indulgent, chocolate dessert. Sometimes I crave peanut butter. And often times I just crave citrus. I want that sweet and tart flavor and I want it baaaaad. These bars? These white chocolate lemon bars are for one of those times. I love these. Love them like I want to marry them. When trying to decide what my next crust concoction should be, I realized I didn’t have a basic lemon bar on my site. I have lots of lemon recipes and even lemon meringue pie bars – but no classic lemon bars. What’s in a lemon bar? Lemon bars are a super lemony dessert with a crust and a lemon curd filling. They’re dusted with powdered sugar to finish them off. I did these one better: I added white chocolate. Lemon bars traditionally have a shortbread crust, but I did these one better. They have a pecan shortbread crust, made from Pecan Sandie cookies. You know the ones, right? Shortbread with flecks of pecans inside? You can use name brand or generic. I think that crust makes these bars. And the white chocolate. I mean, talk about married. White chocolate and lemon really need to just do it already – get officially married, that is. They are soooo good together! 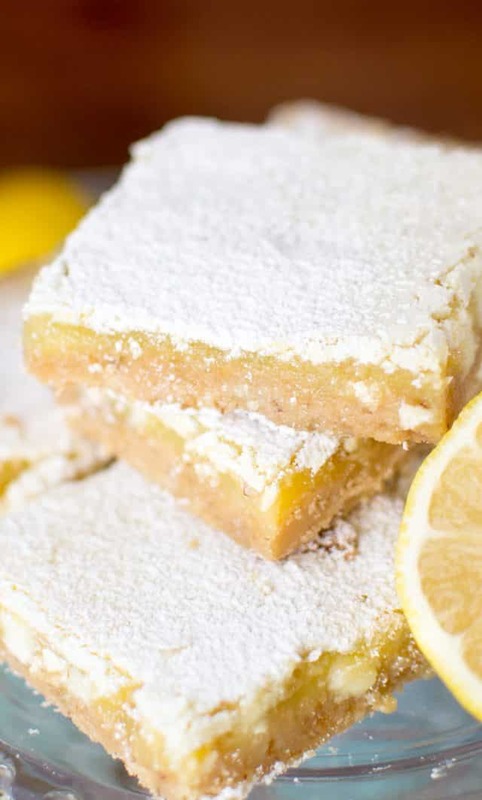 What makes these lemon bars so easy? To make the crust, you simply grind the cookies and mix with butter. That gets pressed in the bottom of a pan. To make the filling, you blend eggs, lemon juice, sugar, and lemon zest in your blender. Pour it over the crust and bake. They’ll set up to be a gooey lemon bar. If you don’t have a strong blender, you can use a food processor for the crust. Or, put the cookies in a ziploc bag and crush with a rolling pin. 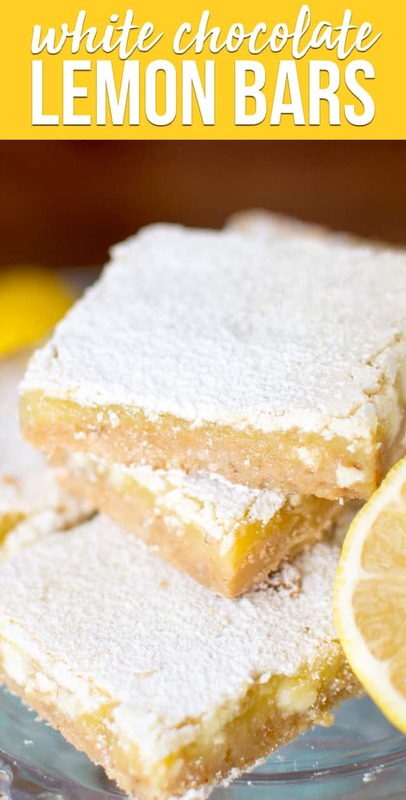 Skip the white chocolate if you want a pure lemon bar. I made these in a 9×13-inch pan. Want thicker lemon bars? Make them in a 9×9-inch pan (baking time will increase). Ever wondered how much lemon juice is in a lemon? Somewhere between 2 tablespoons and 1/4 cup, depending on size. To get all the juice out of your lemon, microwave it for 10-15 seconds, then roll it on the counter before slicing and juicing. Wonder how to make lemon zest? You need a microplane or zester (or the smallest side of a box grater) and you just grate the lemon rind. Use only the yellow, not the white. Store the bars in the refrigerator or freeze for up to a month. 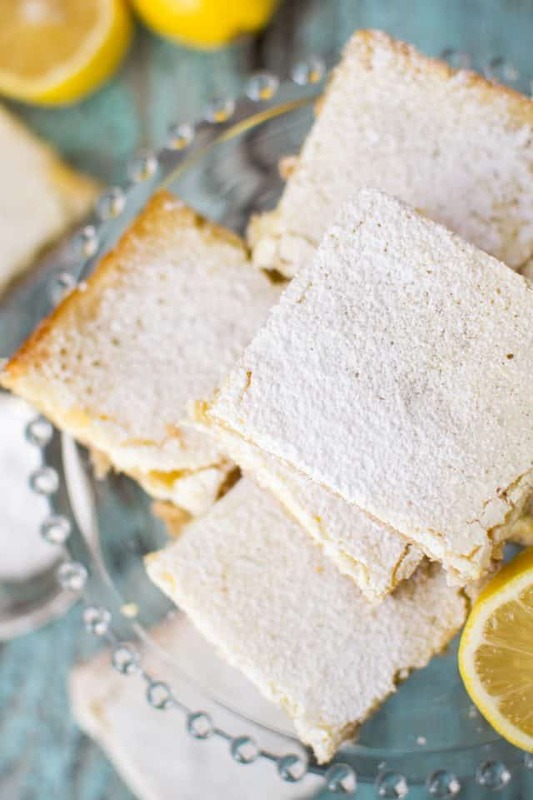 Click here to see the complete list of Lemon Recipes or try some of my favorites: Lemon Cream Cheese Cookies by Oh Sweet Basil, Lemon Bar Muddy Buddies by Lemon Tree Dwelling, or an Easy Lemon Poke Cake by Something Swanky! White Chocolate Lemon Bars are an easy lemon bar recipe with a shortbread crust, gooey lemon filling, and white chocolate chips. 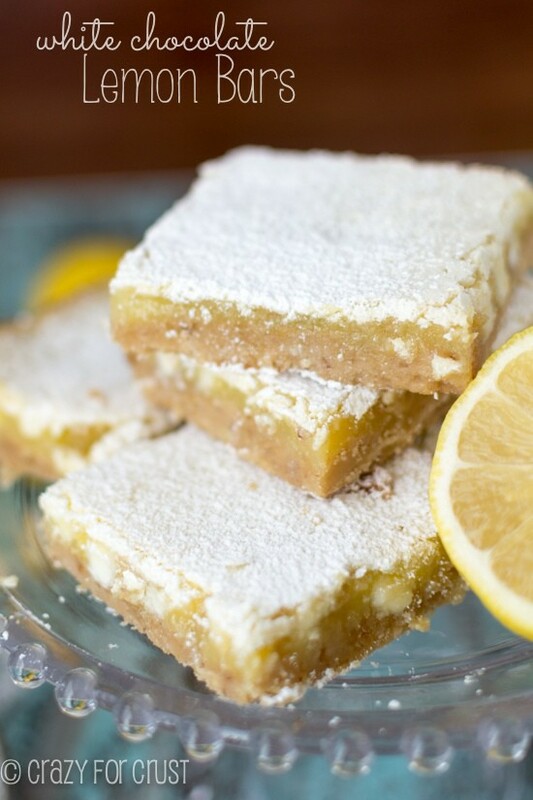 These lemon bars are always a hit! Preheat oven to 350F. Line a 9×13” baking pan with foil and spray with cooking spray. 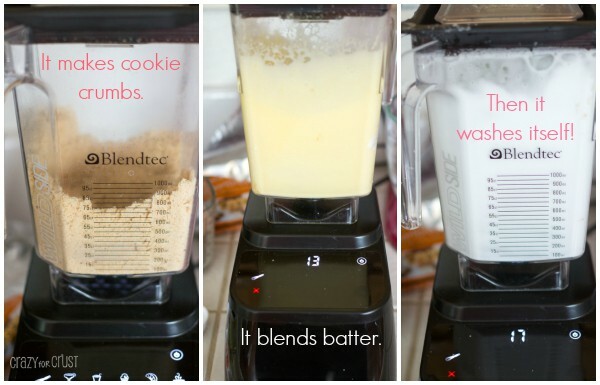 Add cookies to the Blendtec WildSide Jar and pulse a few times until they are a fine crumb. Add melted butter and pulse once or twice until incorporated. (Alternately, you can use your food processor to crush the cookies, then stir in the melted butter.) Press into the bottom of the prepared pan. Sprinkle crust with white chocolate chips. Add lemon juice, lemon zest, granulated sugar, flour, baking powder, and eggs to the Blendtec WildSide Jar and run on “batters”. Alternately, whisk together until mixture is smooth. Pour onto crust. Bake for about 25-28 minutes, until the edges are a light golden color. The top will have a dull white look too it. Cool completely. Slice into bars and dust with powdered sugar before serving. Bake these in a 9x9-inch pan for a thicker bar. You may substitute regular shortbread cookies for the crust, if desired. Use about 30 Walkers shortbread cookies or abut 50 Lorna Doone. Skip the white chocolate, if you prefer. Gooey Lemon Bars start with cake mix! 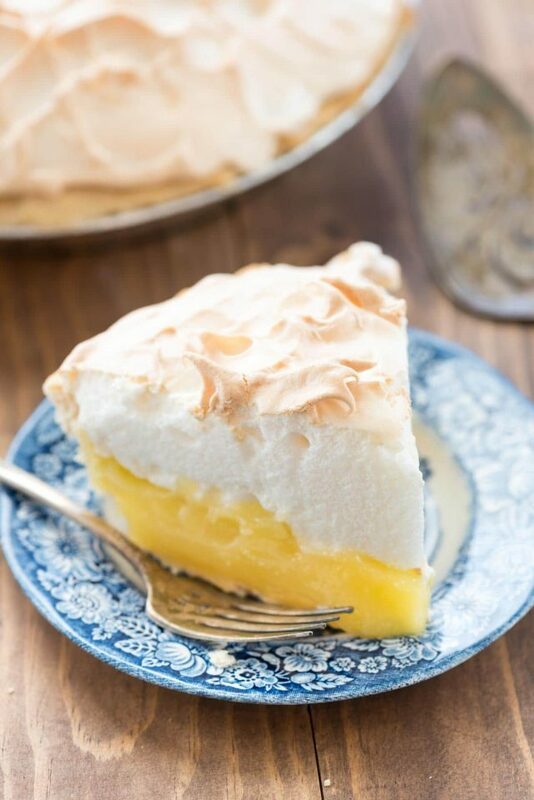 My Aunt Tootsie’s Lemon Meringue Pie is full of a rich lemon filling. 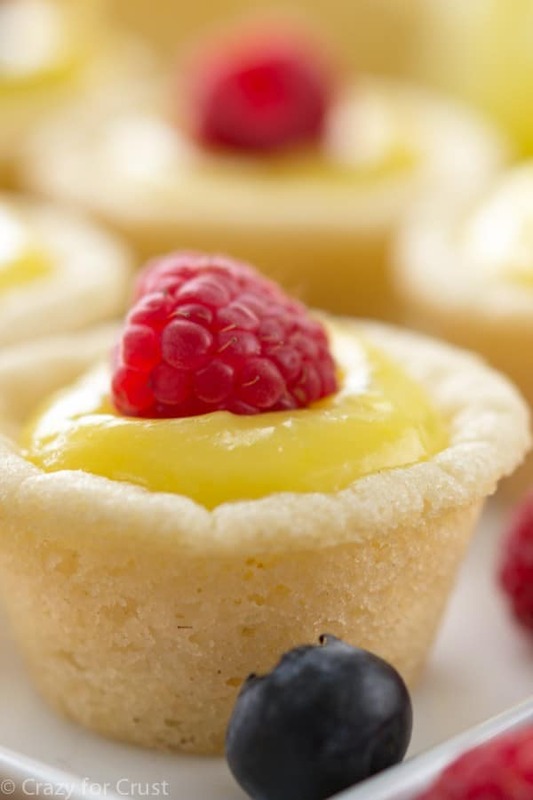 Lemon tarts are easy to make with only two ingredients! Why the baking powder? I plan to make these, but I’m going to use the Lemon OREO cookies. I’m still vacillating on the white chocolate, but probably will try it. Will use a 9X9″ pan and cut smaller squares.